I am both delighted, proud and humble to announce that I am a Commended Photographer at Sony World Photography Awards 2016! The Sony World Photography Awards is the world’s biggest photography competition. In this year´s contest the winning photographs have been selected from stunning 95,541 images entered from 186 countries all over world. Two images of mine were commended in the open competition in the Nature & Wildlife category; “Male lion in the high grass” and “Fighting Topis”. Both images are taken in Maasai Mara, Kenya, respectively in May and March 2015. I am especially happy for the recognition regarding my wide angle photograph of the dominant male lion. This has been a challenging project I have been working on for two years using a self-built remote-controlled, four-wheel drive buggy and remote-controlled camera. Technically it is demanding because there are a lot of considerations to be made to get it work, and a lot of pitfalls, too. But, when succeeding one get interesting wide angle images – taken from the ground. In the coming rainy season, in May, I am going back to Kenya proceeding with this lion project. 2,000 years ago the population of lions counted 1 million animals. To day the number is only 25-30,000 individuals. 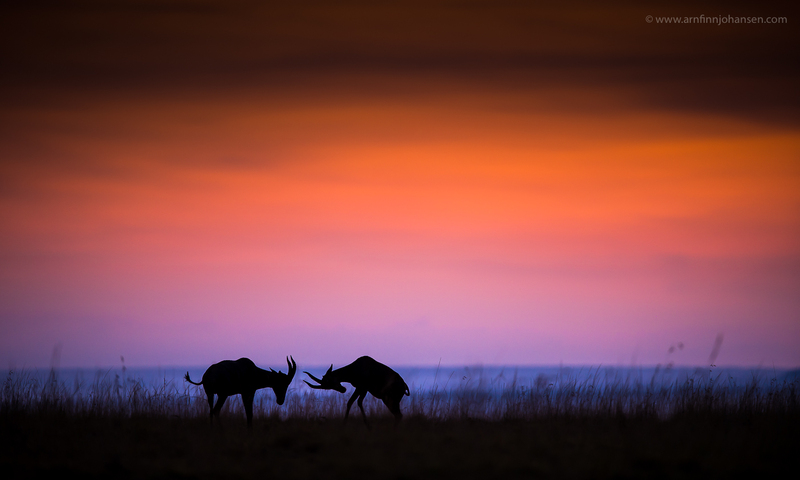 And, because of habitat loss, trophy hunting and poaching, the number is still decreasing dramatically – over the last 50 years with more than 90%! I hope my image conveys the nobility and importance of this top predator and make people realize that we cannot afford to lose it. The Sony World Photography Awards is the world’s biggest photography competition and its aim is simple: to recognise and reward the best contemporary photography in the world. The images are judged by the World Photography Organisation and a specially selected jury from the World Photographic Academy which is made up on the photographic industry’s most esteemed individuals. The awards offer an unparalleled opportunity for exposure for photographers at all stages of their career and are known worldwide by industry leaders. The annual awards gala and ceremony takes place in London, welcoming an international attendance of industry leaders to celebrate the recognition of the best in contemporary photography and each year also pays tribute to one of our masters with the Outstanding Contribution to Photography Award. Supporting the celebration is an exhibition of the winners and shortlist, comprising of hundreds of photographs expertly curated inside the historic London landmark, Somerset House. Please click on the images to enlarge and see them in 1400px quality. Feel free to leave your comments below if you like and follow my work on Facebook as well. 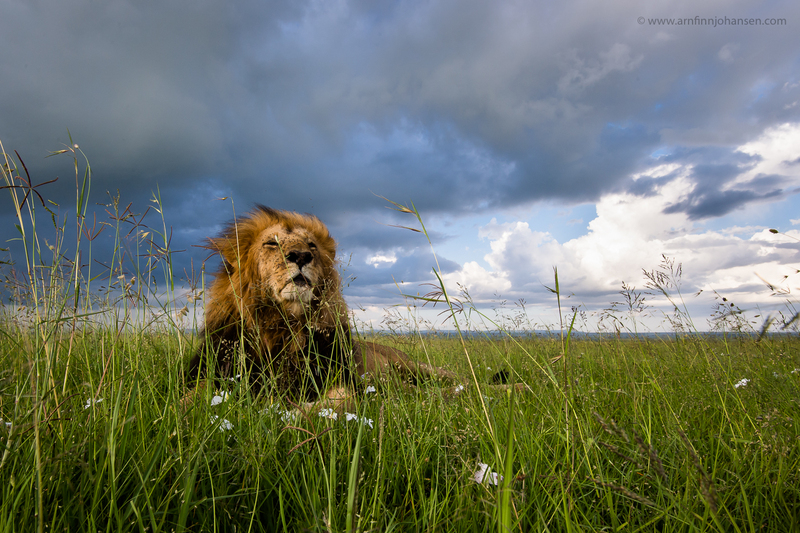 Male lion in the high grass. Commended photograph at Sony World Photography Awards 2016. Nikon D4s, Nikkor 16-35/4 at 18mm, 1/250 sec at f/16. ISO 1000. Nikon D4s, Nikkor 400/2.8E, 1/500 sec at f/3.2. ISO 450. Nice result once again 🙂 Two stunning of course, it\’s funny to see a lion enjoying the a refreshing breeze like that ! Gratulerer nok en gang !! Fortjent ! !